At Little Round Top, Joshua Chamberlain and the Twentieth Maine performed one of the miracles of the Civil War. Outnumbered, with ammunition gone, they charged the Confederate line and took four hundred prisoners. 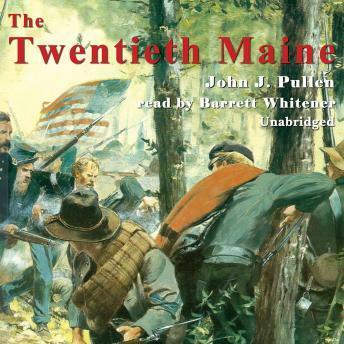 This book is a very well-written and well-read history of the 20th Maine Regiment during the Civil War. It starts with their mustering and formation and continues through the early days in the Army of the Potomac. The book reaches its climax when it gets to the 20th Maine's war-turning performance during the Battle of Gettysburg, much of which hinged on Col. Joshua Chamberlain's leadership and natural military instincts. The story continues past Gettysburg until the last day and last battle of the war at Appomattox. The final CD recounts the aftermath of the battle and their march to Washington to perform in the victory parade. The book does an excellent job of balancing personal accounts, anecdotes, and military history to provide a detailed, but not overwhelming, history of the war and the 20th Maine's part in it.